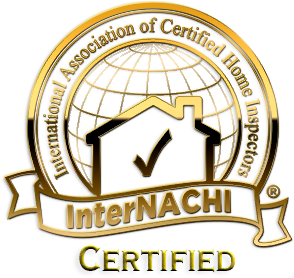 Revealed Home Inspection is InterNACHI certified and adheres to their excellent Standards of Practice and Code of Ethics. We offer a comprehensive General Home Inspection that includes a free basic Thermal-Imaging scan on select areas to help identify the source of any issues undetectable by conventional inspection method. In a General Home Inspection, we’ll conduct a thorough visual evaluation of a property’s structure, mechanical systems, and most other readily accessible components. Unlike many home inspection companies, when we examine the condition of a safely accessible roof, we won’t do so while guessing from the ground—we’ll climb the ladder to take a closer look and make a true assessment. Before a home hits the market, it’s always a good idea to schedule a Pre-Listing Inspection. By having a home evaluated long before a prospective buyer schedules their pre-final inspection, a seller can eliminate the risk of the buyer’s home inspector uncovering major issues that could complicate negotiations. A new home is typically backed by a 1-year warranty from the builder. Before the first year of homeownership has come and gone, schedule an 11th Month Inspection to avoid paying for expensive repairs that could have been covered by your home’s warranty. We’ll inspect most visible and accessible areas of your home to identify any issues that the builder is obligated to resolve. Pools and spas are common luxuries enjoyed by homeowners and their guests all across the Florida coast. To ensure that your pool or spa is functioning properly, we recommend scheduling a Pool and Spa Inspection. We’ll carefully inspect the mechanical equipment and overall condition to verify compliance with safety standards and to confirm that there are no substantial defects so you can enjoy your pool or spa for years to come. For Florida homeowners, safeguarding a home against the elements is vital to the longevity of a property’s structure and the overall security of your investment. In a Wind Mitigation Inspection, we’ll evaluate a home to identify what measures have been taken to minimize the damaging impact of volatile winds. A Wind Mitigation Inspection is also a key qualifier for several insurance credits that benefit coastal homeowners. As a new home is being built, it can benefit from a thorough inspection during any phase of construction—from before the concrete pour all the way up to the pre-final walkthrough. We offer Phase Building Inspections to verify that there are no major oversights that may result in unanticipated costs or undesirable shifts in schedule. Most importantly, we’ll assess the condition of new construction to confirm that there are no code violations that could prove hazardous for future occupants. Deck failure is a very real occurrence that can easily be avoided with the help of a professional inspection. When we conduct a Deck Inspection, we’ll check to make sure that the deck hasn’t begun to separate from the home and that all load-bearing components remain safe and sufficient. We’ll also check for any signs of general deterioration to determine the need for future repairs. In a 4-Point Inspection, we’ll carefully inspect four of the most important components of a home. This includes the HVAC system, Electrical System, Plumbing System, and Roof. Insurers often require a 4-point Inspection for initial coverage and policy renewal, particularly for older homes.